For anyone who wasn’t aware, I went camping at the KOA campground at Tahoe this weekend. Hopefully you’re caught up on all my posts and knew how much much I talked about this trip beforehand. In all honesty, I wasn’t terribly excited because my dad didn’t really plan anything other than going swimming. Which he didn’t even do. The most exciting part was that I brought Steph along, because she hasn’t been camping in a few years. The ride there wasn’t very long, which was actually a good thing. Steph gets carsick pretty easily and we were sitting at the table, but my back was facing the front of the RV. So I had no idea when my dad was going to randomly hammer down on the brakes, making me pretty sick. He seemed to be driving more sporadically on the way back, and it was really hot so that wasn’t fun at all. Once we were there, it was pretty fun going swimming. Sheri even brought some water guns so Steph and I battled pretty much the whole time, except I kept grabbing her gun and taking it from her because she’s weaker. We only spent about two hours at a time in the pool, and then we’d dry off in the RV and listen to music and play cards or something. I brought my poker set with all the chips and everything, but since I didn’t set up all the games, nobody went out of their way to play cards. Steph also taught me a magic trick, which was pretty cool because there aren’t many things she knows that I don’t. If we were ever to start a business, using property rentals for example, I already know something that she doesn’t. She’s lucky that she has me, because I know where we could get Short-Term Rental Permits. It’s only because I’m older, of course. And probably smarter. We got burnt in the pool, but only really on our faces. 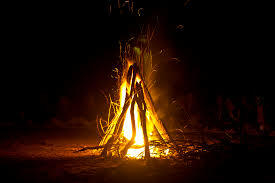 At night, we made Smores around the campfire like every happy family would when they go camping. 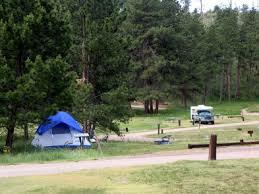 I was expecting the whole campout to be a lot bigger, because they kept advertising it to me as a family campout.